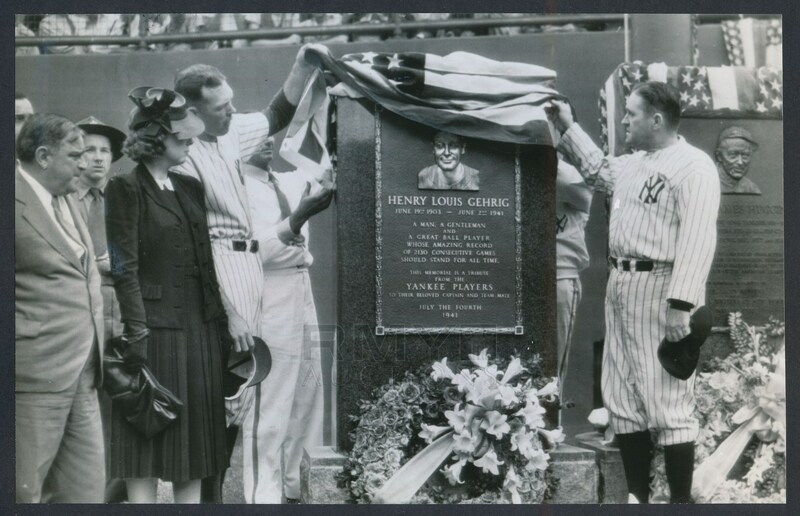 1941 Photograph of the Lou Gehrig plaque being unveiled at Yankee Stadium. Joe McCarthy and Bill Dickey remove the draped American Flag while Gehrig's widow Eleanor stands at the far left next to Ed Barrow. 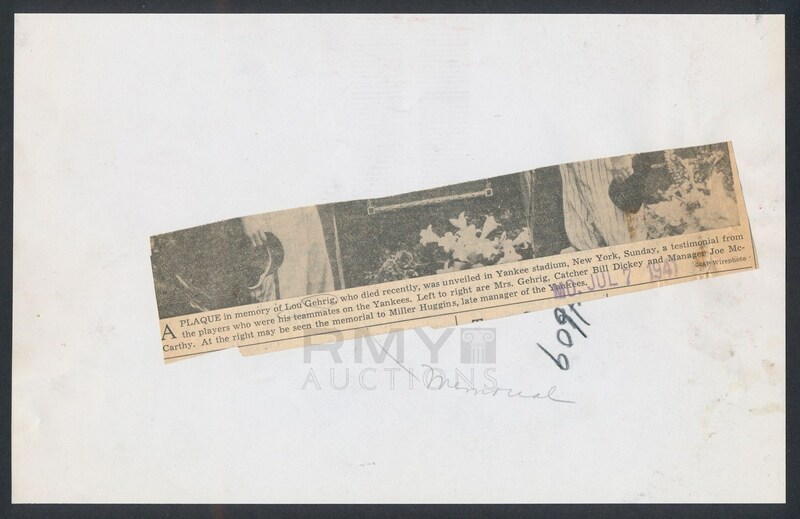 This is a tremendous large image in great condition and dated on the back. A poignant and touching piece of baseball history honoring its greatest fallen hero!